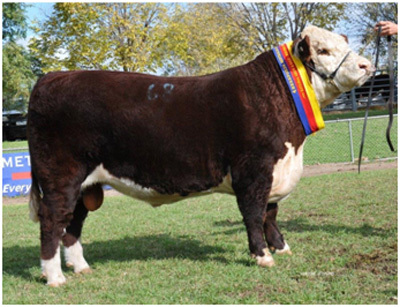 Days Whiteface had an outstanding Show and Sale at the Wodonga Hereford National 2015, with their team of 6 Poll Hereford Bulls. Wizard J207 ET Brother to J204 was the lowest birthweight bull in the catalogue. He sold to Larkfield Pastoral for $10,000. Days Debonair J188 another Calibre son is a AAA rated bull for complete Breedplan Performance and was awarded Junior Champion. He sold for $12,000 to Yukon Park. 1st or 2nd in their classes, gained four broad ribbons and combined to gain the most successful exhibitor award for Days Whiteface. The following day they sold to $30,000 (2nd top price) to average $14,166.00.